Review Daylite's concepts in a logical systematic manner. Understand the business benefits of Daylite's unified approach to customer communications. Experience the power of Daylite. • What does Daylite do for your business. • Why use a CRM and Daylite specifically. • How does Daylite leverage the power of customer information for sustainable business growth. Daylite manages sustainable business growth. On Mac Pro, iMac, iPhone, & iPad. Organize your business and your team in one app. 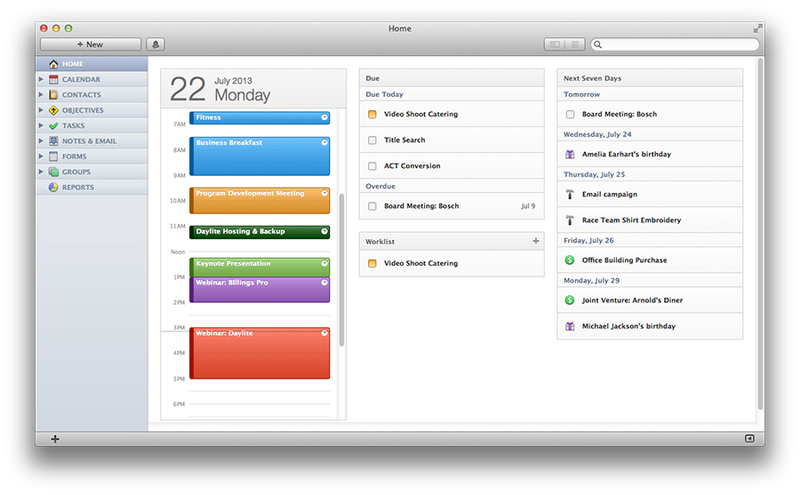 Projects, sales, emails, meetings, calendars, contacts, notes, and more. 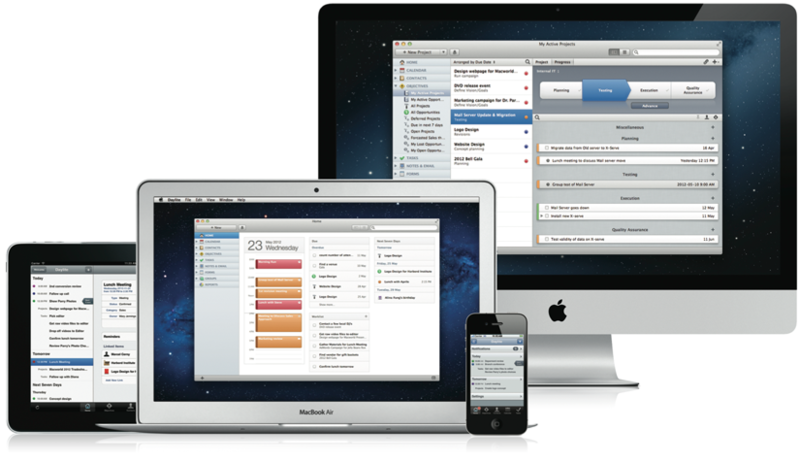 Daylite keeps everything related to your business in one place. Easily find people and things, add new people and things for everyone you work with to share and collaborate. Know what's on your plate. Daylite's home screen or dashboard allows you to quickly see; your schedule for today, any tasks, due or overdue today as well as tasks you've escalated to your Worklist for reordering and immediate attention. Know what's on the horizon. Easily see your next seven days of appointments, tasks, forcasted sales opportunities and projects all in one inclusive view. It's all right there where you need it. Everything you've ever done with someone. 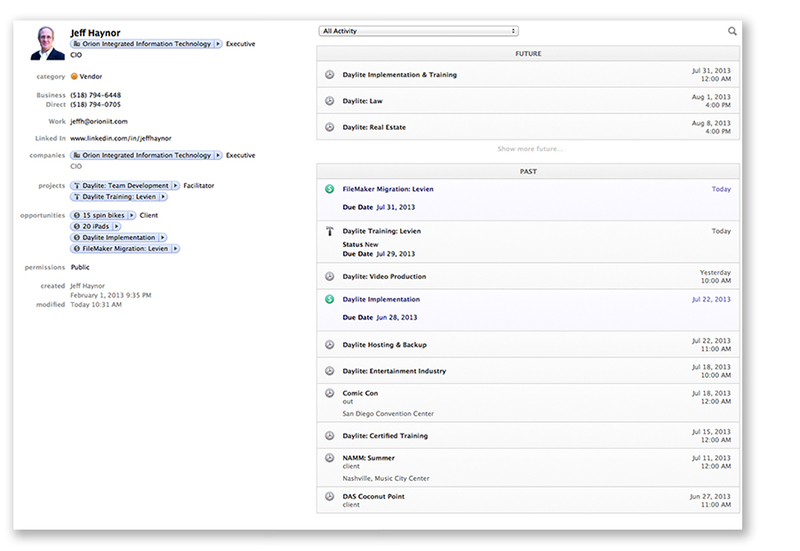 Every call, email, appointment, note, and more — all on one page.